This award-winning two-storey residence, House T, is in the centre of Tokyo and has been designed for a couple who can more or less keep an eye on each other from any room in the house. 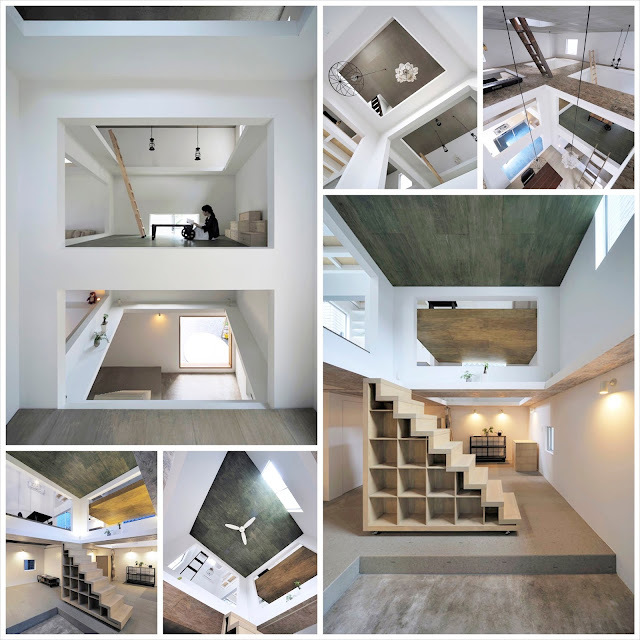 It's an amazing Escher-like design, partly due to punched out walls and ceilings, open stairwells and ladders, which means that each level is on display from the floor above or below. Architect Hiroyuki Shinozaki likens his plan to a box containing "floating stages" or floors, each designated as kitchen, living, bedroom etc.